Gorge Net » Maupin | Life. Business. Uninterrupted. Hello Maupin! Gorge Networks is excited to bring fiber internet to your world! Gorge Networks, in cooperation with QLife and the city of Maupin is offering direct fiber connections to your home or business. About the fiber network: The fiber network servicing Maupin businesses and residents is owned by the city of Maupin through funding provided by the State of Oregon. 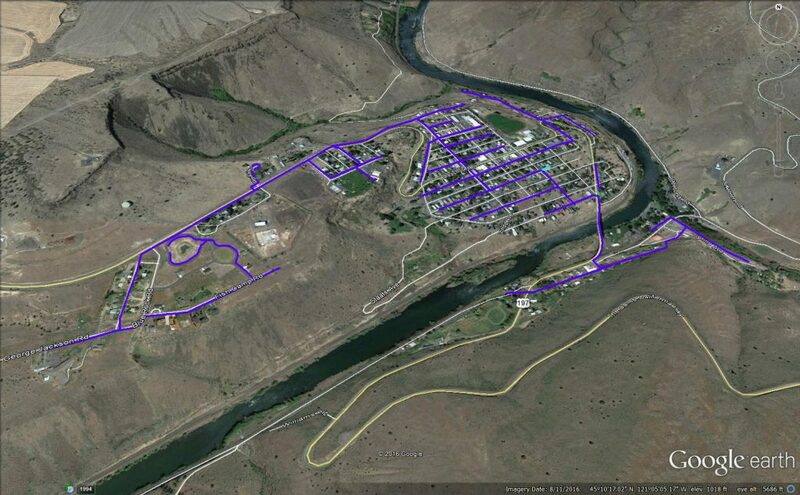 Gorge Networks, in cooperation with Qlife and the City of Maupin, is able to provide direct fiber services to businesses and residents in Maupin at speeds up to 1 Gig. Any location within a couple blocks of the main fiber will have access. More remote locations can be served as well – call for details. Free Installations with your pre-order completed by April 1st. Call to place your order, $30 deposit required. All pre-orders will have a gorge.net gift sent to them. All pre-orders will be entered into a drawing for 3 months free service. 30 Day money back guarantee for all installations. One year service agreement is required at the time of install. Not on the map? Signing up for GorgeNet fiber helps others that the fiber won’t reach. A portion of the proceeds of the revenue generated in Maupin will go towards expanding and improving our existing wireless coverage in South Wasco County. We feel that the entire South Wasco County should benefit from this infrastructure and we are the only provider that is willing to reach further into remote areas not covered by fiber. Help us help your fellow neighbors!